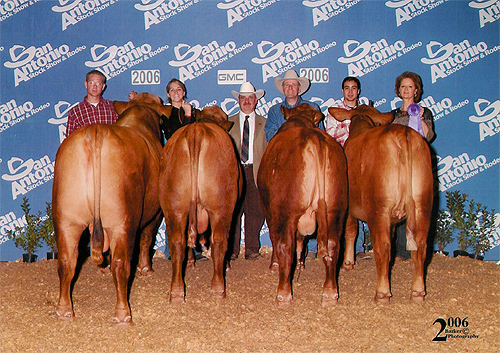 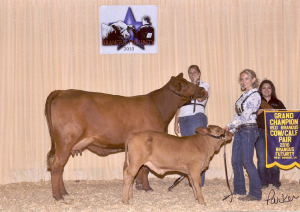 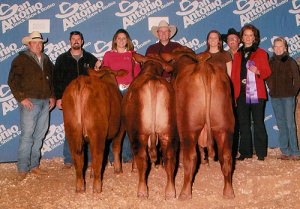 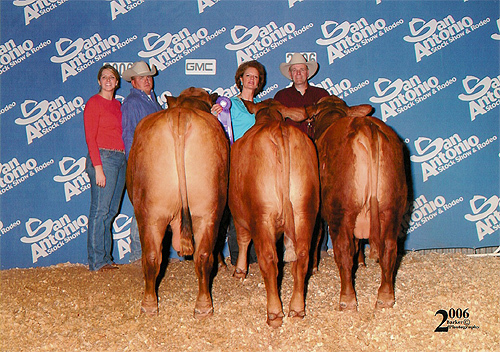 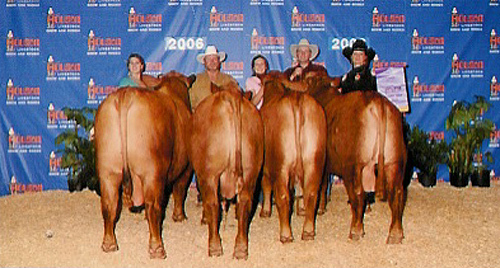 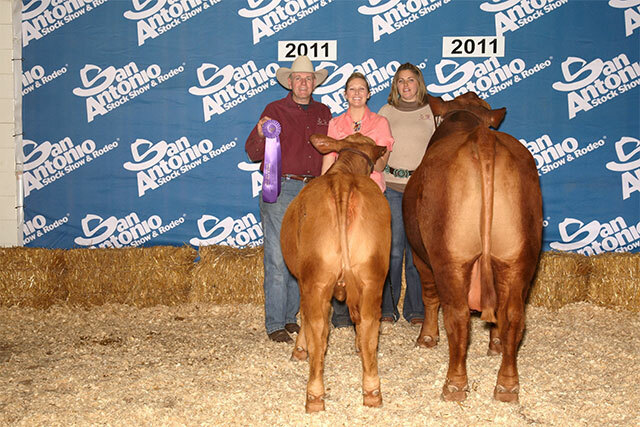 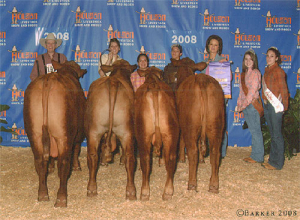 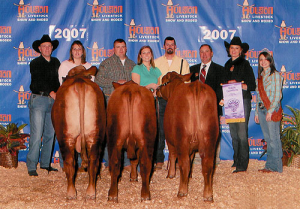 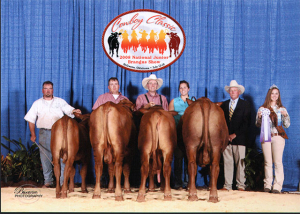 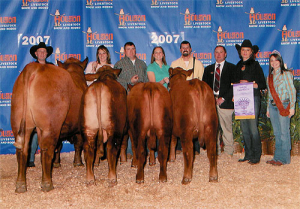 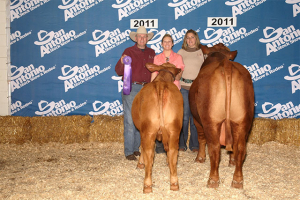 Buffaloe Cattle Company consistently developed outstanding show cattle as exhibited by winning the coveted Breeder’s Herd Award, Get of Sire Award, Cow/Calf Champion, and Champion Produce of Dam at many shows. 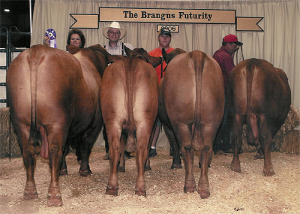 These fine cattle are used to produce outstanding show and commercial Red Brangus and Black Brangus bulls. Our senior herd sire, CX Chief Cardinal 847/G, has been named Champion Get of Sire in more shows than any other Red Brangus Bull.